Bring home the highly-rated Insignia™ – 0.7 Cu. Ft. 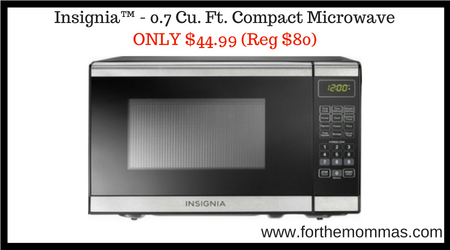 Compact Microwave available for ONLY $44.99 Shipped (Reg $80) in the Best Buy deal of the day (03/23)!